One of the things that made the USA Powerball lottery so amazing was the minimum jackpot prize of $40,000,000. The Powerball was, until recently, the biggest minimum jackpot lottery game in the USA. 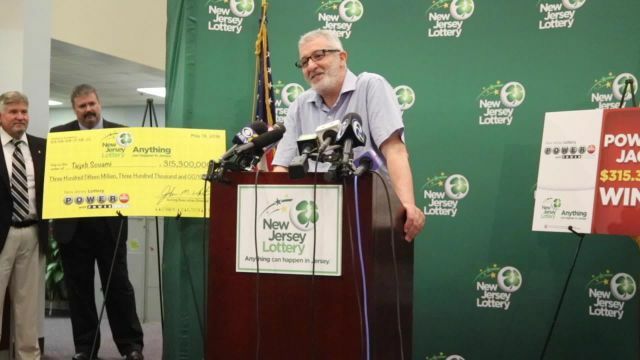 Well, we have some good news for lottery lovers out there! The USA Mega Millions lottery has just raised its minimum jackpot prize to $40,000,000, and is now on par with the Powerball. Prior to this change the Mega Millions minimum jackpot prize was $15,000,000. This means that you can choose between the Mega Millions and the Powerball for a minimum jackpot prize of $40,000,000. The best news of all is that you can also play the Mega Millions lottery game online from home. The jackpot prize of the Mega Millions was not the only thing to change, the rules have also changed. Before players had to choose 5 out of 75 numbers and 1 out of 15 Mega Numbers, now players must choose 5 out of 70 numbers and 1 out of 25 Mega numbers. The odds of winning smaller prizes have gotten better and the odds of winning the minimum jackpot prize of $40,000,000 have gotten smaller. The odds of winning the Mega Millions jackpot are now over 1 in 300 million. For comparison the odds of winning the Powerball jackpot are around 1 in 290 million. But with minimum jackpots of this size we can understand why lotto players from all around the world choose to play Mega Millions and Powerball online. $40,000,000 minimum prize can go a long way in life, even if the odds are slim.